Brock Clarke is the author of five books, most recently Exley and An Arsonist’s Guide to Writers’ Homes in New England, which was a national bestseller and has appeared in a dozen foreign editions. His stories and essays have appeared in the Virginia Quarterly Review, OneStory, The Believer, the Georgia Review, and the Southern Review and have appeared in the annual Pushcart Prize and New Stories from the South anthologies and on NPR’s Selected Shorts. He lives in Portland, Maine, and teaches creative writing at Bowdoin College. His story “People who are not like us” appeared in our Issue 22.2 Summer/Fall 2010. 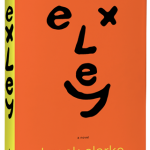 First, a confession: I had not yet read A FAN’S NOTES, the 1968 “fictional memoir” of sports fandom, addiction, and mental illness by Frederick Exley, before picking up Brock Clarke’s new novel, EXLEY. Clarke’s book is, in many ways, a companion tome to Exley’s, and shares its name with the late author. The deeply devoted cult of Exley will likely share Clarke’s – and his characters’ – affection for A FAN’S NOTES, and appreciate the “inside baseball” of Clarke’s work the way the uninitiated simply cannot. That said, whether one comes to EXLEY with a love for, indifference to, or ignorance of the oeuvre of Frederick Exley, Clarke’s novel is a great read. It is the story of nine-year-old Miller Le Ray, whose father – Miller believes – left their Watertown, New York home for the war in Iraq and is now wounded and lying in a bed at the local VA hospital. Remembering an elementary school classmate who was seemingly “cured” of his cancer upon meeting his favorite baseball player, Miller is determined to find Exley, the author of his dad’s favorite book A FAN’S NOTES, trusting that a visit from Exley will restore his dad to health. Knowing only the Exley mythology that his dad has told him (and not knowing that Frederick Exley died in 1992! ), Miller reads A FAN’S NOTES and investigates the local haunts that Exley, also a Watertownian, describes in his book. His search and eventual discoveries of a few potential Exleys – if not, in fact, theExley – proceeds like a riveting mystery, made even more intriguing by this: Miller is an entirely unreliable narrator. Few in Miller’s life believe that his father actually went to Iraq. None of the evidence Miller presents supports this claim. His mother is so concerned with Miller’s obsession with this “fabrication” that she sends him to regular appointments with a therapist, Dr. Pahnee. Interrupting chapters narrated by Miller are chapters of numbered “Doctor’s Notes” entries, wherein Dr. Pahnee attempts to understand Miller’s puzzling motivations. However, the reader soon discovers that Dr. Pahnee is no more a trustworthy relater of events than Miller: he is absurdly pompous and his professional interest in his young patient is entirely subsumed by his creepy infatuation with Miller’s mother. Like many of Clarke’s previously published short stories and novels, EXLEY is often hilarious. Miller explains the world around him with both advanced-reading-class brilliance and an innocent ignorance of what does not need explaining. He has an endearing way of repeating himself. Meanwhile, Dr. Pahnee has a grating way of repeating himself. (The Doctor’s Notes often contain phrases like “Nonetheless, I worried – worried and, indeed, worry.”) Miller’s precociousness and the doctor’s general flakiness often stir giggles, as do many of EXLEY’S surprising plot twists. Not only is EXLEY entertaining, it is also thought-provoking. EXLEY, with its competing narratives and the gaps they create – most, but not all, of which are fully resolved at the novel’s close – inspires its reader to question whose account is truth and whose is fiction, and whether this even matters. Arguably, every character in the book is living within his or her own self-maintained fiction. Clarke seems to be suggesting that all of us, like Frederick Exley, create “fictional memoirs” – whether written or forever internalized. Like Clarke’s previous novel, The Arsonist’s Guide to Writers’ Homes in New England, EXLEY poignantly details what it means to adore books as artifacts, to worship authors as heroes, and to find magic in simple proximity to the books and authors we love. Brock Clarke writes books of the best kind: they make you want to read more books. 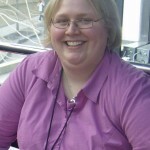 Erin Blakeslee is a former Nonfiction Editor of Sycamore Review. During her tenure with Sycamore Review, she conducted an interview with author Jane Hamilton that appears in the anthology TELLING STORIES, TALKING CRAFT. She earned her M.F.A. from Purdue Universityin 2009 and her fiction has been recognized by the National Society of Arts and Letters. She is currently a community college composition and creative writing instructor and can be reached at <eblakeslee@ivytech.edu>.